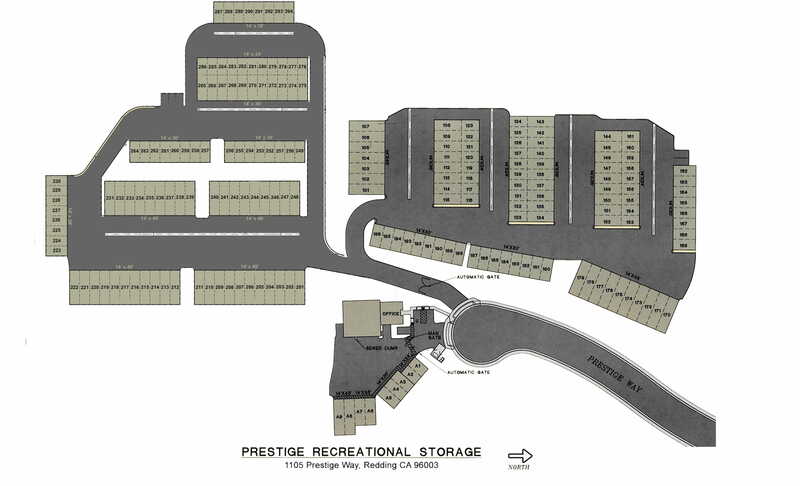 Prestige Recreational Storage is one of Redding's finest storage facilities. We can accommodate most sizes of RV, boat, off-road type vehicle, and your larger storage needs. Unit sizes are (approximately) 14'x24', 14'x30', 14'x36', 14'x48'. Don't leave your vehicle in the harsh Redding weather which can damage your investment. Our clean monitored facility will allow you access to your unit 24 hours per day 365 days per year. Fuel up at the end of the street! We encourage you to schedule a tour of our new storage facility today. 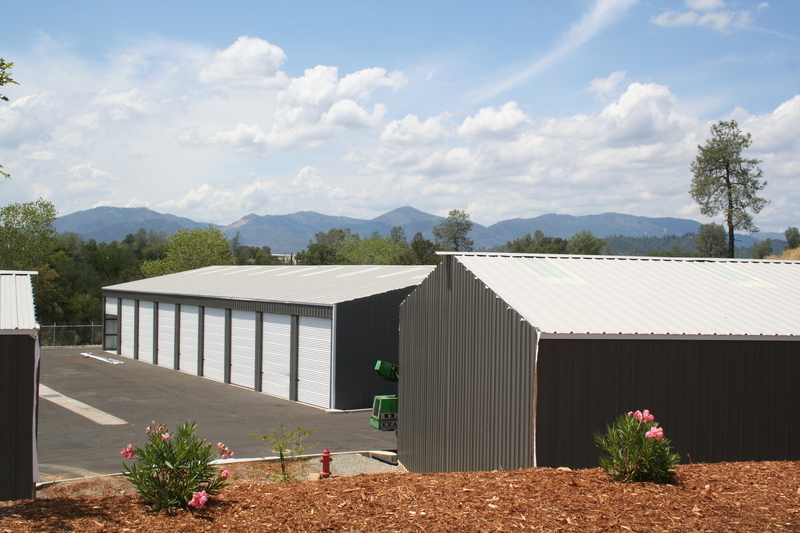 To reserve a storage unit in Redding, CA or obtain more information about our facility, contact us today! 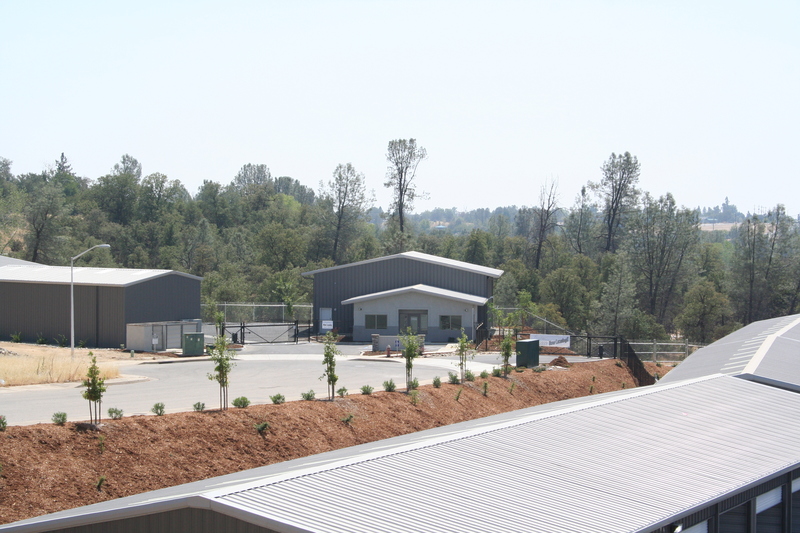 We are conveniently located off Caterpillar Road in Redding, CA. Visit our Location page for a map and information. Prestige Recreational Storage offers many amenities other facilities do not. Our company, and our employees, have a strong connection to the Redding community. When the owners chose the location, they considered what they would want; close freeway access and fuel right at the end of the road. When they drew up the plans, they considered what they would want if they were parking an RV, boat, or off-road type vehicle in a storage facility. The result is Prestige Recreational Storage offers wide driveways, approximately 16 foot high roll up doors on all units, 24 hour access 7 days per week, Wi-fi available for your own wireless alarm system, monitored gates with individual code, motion sensor lighting in each unit, skylights in each unit, varying lengths to accommodate very large RVs and/or boats, 5 amp outlets in each unit, a dump station on-site, clean professional office and a friendly team of educated individuals ready to assist you when needed. 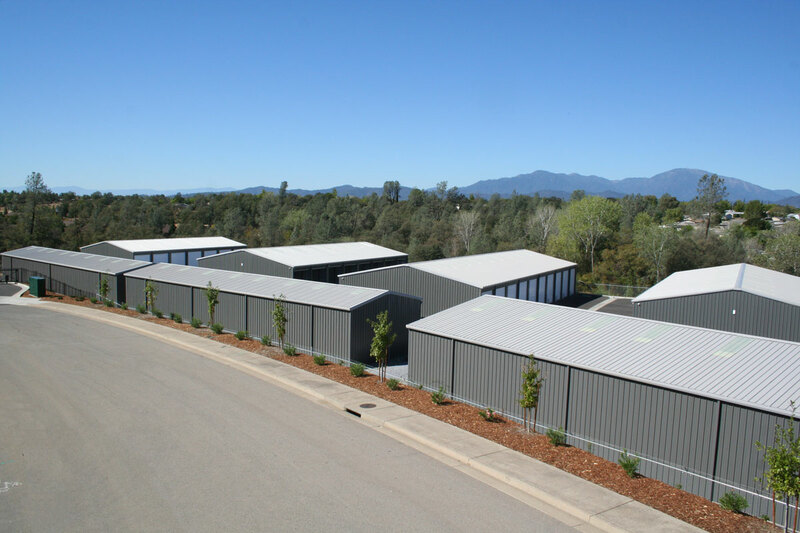 Please, do not hesitate to contact us and ask to tour this fabulous recreational storage facility newly constructed in Redding, CA! Click on map for a larger view!